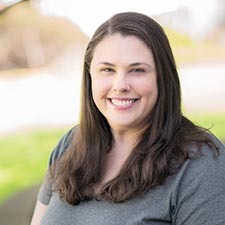 Rebecca Hargreaves is the senior manager for strategic initiatives at Healthforce Center at UCSF and program office lead for CHCF’s California Improvement Network. Her work focuses on the strategic creation of programs and projects that address some of health care’s toughest problems. Rebecca works with foundations and health organizations to identify pain points and priorities, develop and design new programs and networks, strengthen existing initiatives for greater impact, and implement robust evaluation strategies. Rebecca also contributes to Healthforce’s overall strategy and identification of priorities and oversees the marketing and communications functions. Rebecca holds a master’s degree in public policy from Harvard’s Kennedy School of Government and a bachelor’s in economics from the University of California, Berkeley.